Web site review and content improvement - by reviewing your web site, or even starting a new web site, you can be sure to utilize the most appropriate content that will present the readers with accurate information while using key words and phrases that will attract new potential clients. Search Engine Optimization - the use of SEO is a solid strategy that will help potential clients to find your firm much more easily. Using the right SEO tools will help the lead to see your firm name at the top of search result lists. Use ongoing SEO tuning to increase your search ranking and improve results even more. Social Media Marketing - the power of Facebook, Twitter, Instagram, Pinterest, and other social media sites cannot be underestimated. A law firm can take advantage of social media to help spread the word about services offered and to build client loyalty. 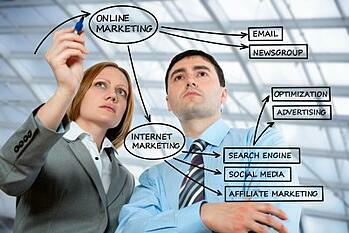 To best utilize online marketing, you should partner with a knowledgeable marketing services provider. Your marketing partner can help you to best improve AVVO ratings and create a strategy that is best for your firm. For more information, please call us directly or click the button below and we will contact you. Thank you. In the ever-changing world of online marketing, it can be difficult to find some authentic and proven techniques to help you grow your business. 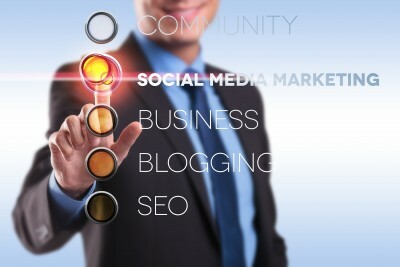 There are many different ways to approach online marketing, and some business owners and managers may find it challenging to select which techniques and strategies are best. Review and refine your business goals - make sure you have a clear business plan in place with specific marketing goals and objectives. The goals can include territory expansion, service or product offerings, sales objectives, new customer acquisitions, and more. With these goals you can then apply the proper online strategies. Create a budget - it is far too easy to get out of control with spending for marketing and receive very little return on investment. Instead, work with a knowledgeable marketing partner that can help you establish realistic budgets for your marketing initiatives and create measurable results. SEO - search engine optimization has proven to be a highly effective tool to increase the number of website hits and also the number of qualified leads. By making it easier to find your business online, you can attract the best leads that will convert to customers. Develop a target audience profile - know who your target market is and where they are most likely to be searching to find a business such as yours. The target customer profile can include income levels, locations, most visited websites, and other demographic information. With your target audience in mind you can more effectively spend your marketing budget monies on initiatives that will produce results. Use the right tools - with the help from an experienced marketing services provider, you can leverage several key tools to attract your target audience. These tools can include blogging, Facebook pages and advertisements, Google Adwords, E-Books, email marketing, and other options. Many businesses struggle in finding the right online marketing approach to suit their particular company. By using a marketing partner that has the knowledge and experience needed, you can develop the right strategies for online success. For more information, please call us directly or click the button below and we will contact you. Thank you. Copy traditional marketing - you can use outbound marketing techniques that involve posting a web site, buying ad space on several random sites, and acquiring a bulk email list to blast marketing messages. The outbound marketing approach has not been very effective and is often perceived as spam in the online world. While it may be a method that has worked in the past, it is not recommended for online marketing. Build it yourself - you can put together your web site, begin building an email subscription list and use referrals and posts on social media to try and spread the word about your business. This method is probably the most economical in terms of budget dollars, but your time and resources would be consumed with this undertaking. There would be a lot of trial and error, and it would take time before any substantial lead generation is realized. Use a marketing partner - by working with an experienced marketing firm, you can have a higher quality web site built with well written content. Your marketing partner can also work with you on a strong marketing strategy that incorporates inbound marketing techniques such as search engine optimization (SEO), targeted emails, blogs, Ebooks, articles, social media and more. An inbound marketing strategy brings qualified leads to your web site that can convert more quickly into real customers. While some marketing firms claim to do online marketing it is important to take the time and find a firm that will meet your marketing goals. Seldon Marketing can bring you the marketing results you need with experience and capabilities that are unmatched. For more information please call us directly or click the button below and we will contact you. Thank you. For decades television advertising has been the panacea for businesses to use for marketing. TV advertising seemed to be extremely effective and it reached a huge viewer base that no other medium could achieve. Today, however, online marketing has some significant advantages over TV advertising. Substantially less expensive – for a fraction of the expense a business can utilize all of the features of online marketing and realize a greater return on investment. Targeted – TV advertising has attempted to create targeted marketing but it cannot compare to the capabilities of online marketing and the ability to focus on a specific group for marketing purposes. Nimble – using marketing techniques online provides a level of flexibility that does not exist in any other medium. A business can literally make changes in a matter of minutes to a specific advertisement, content correction, or adjust an entire marketing campaign. 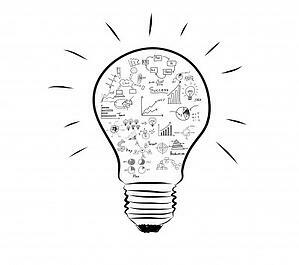 Scalable – your business can isolate a small market using online techniques, and if the campaign is successful utilize those same techniques on a larger scale or replicate into different markets based on your particular strategy. Tracking – while TV advertising has some reporting and analytics capabilities, the online campaigns can have almost every action tracked and analyzed. From the number of emails that were opened to the number of clicks on a web site or searches on Google, you can utilize online analytics to find out how your target market reacts to different approaches. Information – there is an extremely limited amount of time available for TV advertising to get your message across. With online advertising and marketing you can provide a brief Twitter or Facebook announcement followed by a link that offers an Ebook or white paper with much more information for those who are interested. Feedback – a simple click or a few words in a comment can provide you priceless information on how visitors are reacting to your online posts. Remember the days of door to door sales? Every knock on the door is random and there is no certainty at all if someone will even answer the door, let alone listen to a sales pitch or purchase. Traditional outbound marketing is very similar to door to door sales. There is no guarantee that your target audience will even pick up your direct mail flyer or read your ad in the newspaper. From paper advertisements to radio and TV commercials, outbound marketing still has a place, but the success rate leaves much to be desired. Inbound marketing, on the other hand, has proven itself to be a superior option for many businesses. Inbound marketing leverages the power of online marketing to attract qualified leads to your website. In many cases, inbound marketing can double your qualified leads in a very short period of time and pay for itself easily. Industry experience – does the firm understand your industry and business? What types of solutions have they provided in the past that are similar? Online marketing knowledge – does the firm understand how to leverage search engine optimization (SEO) using numerous online methods including web site, email, social media, banner ads and others? Best practices – can the firm use industry best practices and benchmarks to compare and analyze your particular online business model and make recommendations to optimize and improve? Services – what services are provided by the firm? Do they include pay per click, content management, ebooks, white papers, email marketing and search marketing as part of their offering? 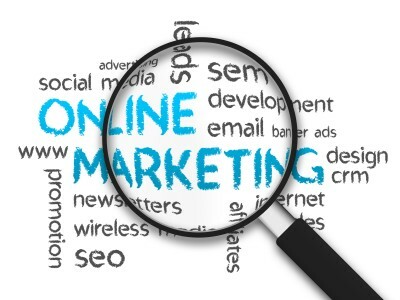 Seldon Marketing provides a comprehensive online marketing solution for your business. Our first priority is aligning your marketing strategy with your business goals to create the ideal inbound marketing solution with lead generation tools that really work. For more information please call us directly or click the button below and we will contact you. Thank you. The world of online marketing continues to become more sophisticated. The major search engine providers like Google, Bing, Yahoo and others have elaborate algorithms that crawl every website and rank search capabilities. Facebook, Twitter and other social media sites have similar crawlers that analyze posts and content to determine participation levels and trending topics. Businesses also need to take full advantage of online marketing tools and capabilities in order to make the most out of your web site investments. In a location like New York City it can be tremendously beneficial to use online tools. The NYC market can be more complicated so a better approach is needed. There are analytics tools available that can help your business to do its own research and find new ways to generate business online. Your current state – with analytics tools you can better understand where you are online from several perspectives. How many visitors do you get weekly/daily/monthly? What types of visitors are they? How do they compare to your target market? Are you achieving your expected goals? Your plan – online analytics can help you to determine what your strategy should be. SEO keywords and phrases, visitor demographics, originating web sites or search engines and more can be determined through the analysis. You can then create a plan and begin implementing changes. You can also measure the results from each change to determine if it worked. Coordination – with the right online marketing tools you can coordinate your efforts between SEO, social media, email marketing, blogs and other online initiatives. This gives your online presence a consistent look, feel and approach to your market. For the best tools to help with your online marketing plans you can partner with Seldon Marketing. For more information please call us directly or click the button below and we will contact you. Thank you.